Ashwagandha, one of the most powerful herbs in Ayurvedic healing, has been used since ancient times for a wide variety of conditions, and is most well-known for its restorative benefits. In Sanskrit Ashwagandha means “the smell of a horse,” indicating that the herb imparts the vigour and strength of a stallion, and has traditionally been prescribed to help people strengthen their immune system after an illness. 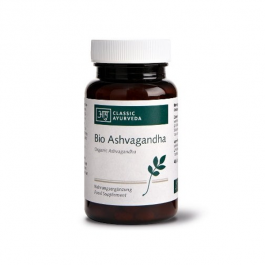 Ashwagandha is frequently referred to as “Indian ginseng” because of its rejuvenating properties, even though botanically, ginseng and Ashwagandha are unrelated. 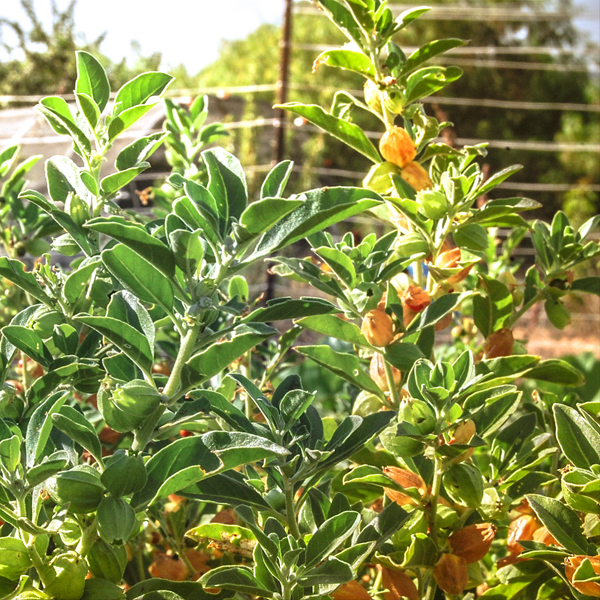 Belonging to the same family as the tomato, Ashwagandha is a plump shrub with oval leaves and yellow flowers. It bears red fruit about the size of a raisin. The herb is native to the dry regions of India, northern Africa, and the Middle East, and today is also grown in more mild climates, including the United States. promotes increased energy, joint health, respiratory health, restful sleep, clear mind and memory. improves communication between brain & gut to curb cravings. increases stamina & muscle strength. 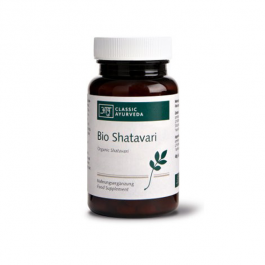 improves healthy functioning of adrenal & reproductive systems. "Ashwagandha is a popular medicinal herb in India and an excellent remedy for stress, low energy, and to curb cravings. It is one of only a few known herbal adaptogens, meaning it specifically helps the body adapt to stress in a healthy, rather than dysfunctional, way. It helps to counteract anxiety and agitation." - Integrative Neurologist Kulreet Chaudhary, M.D. - excerpt from The Prime. In Ayurveda Ashwagandha, also called winter cherry or Indian ginseng, is one of the most widely used supplements. Their importance in Ayurveda is comparable to that of ginseng in traditional Chinese health education. 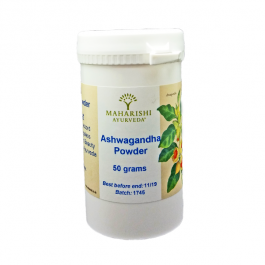 Ashwagandha means "the smell of the horse", because in the Indian tradition of the plant the vitality and strength of the horse are attributed. The plant has long been known for its nourishing qualities. It promotes rest and clarity of mind and calms Vata and Kapha. Ideal to take during autumn and winter. For our herbal tablets we use high quality, dried organic Ashwagandha roots (dried in low temperatures below 42 degrees Celsius). In comparison to the usual air drying, this is the gentler way of drying, because the natural plant substances are better preserved. Then the roots are ground to powder. Powders and tablets comply with the guidelines for raw food. 3 tablets daily. The recommended daily dose should not be exceeded. Dietary supplements do not replace the normal, varied diet. * Bio - Certificate details - DE-eco 037 (non-EU agriculture). LEFO quality seal. * Daily intake contains: 1,188 mg root powder. Keep away from small children. Store in a cool and dry place.